My youngest son was invited to a birthday party for one of his friends today so yesterday we went into Wasilla to hit up Target and grab a gift card for his buddy. 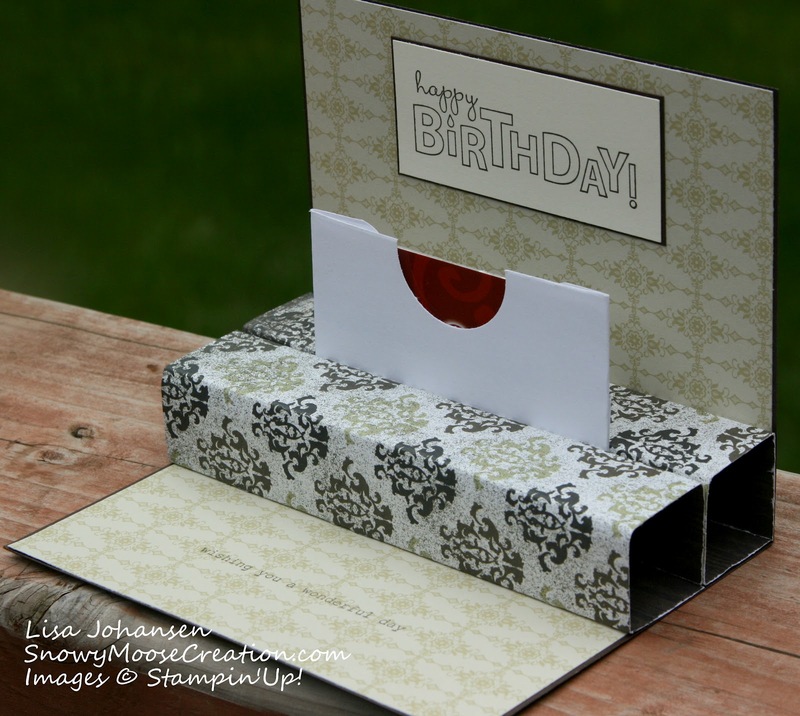 We got him one for Cold Stone Creamery and since the gift cards don't come with envelopes I decided to make a pop up gift card holder. I have to admit, I wasn't sure what colors I should use, and I don't really have any sets geared to teen boys, so I went with DSP from Well Worn and since we're in Alaska I used the moose image from Definitively Decorative Pines. The text/ sentiments are from the set Bring On the Cake. 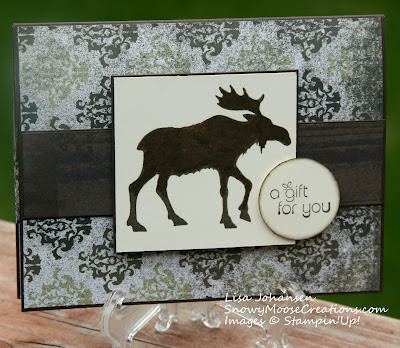 Great card and I love the moose stamp. love the card and I am sure your sons friend loved it as well. Especially the gift card. Yay - this is fabulous. 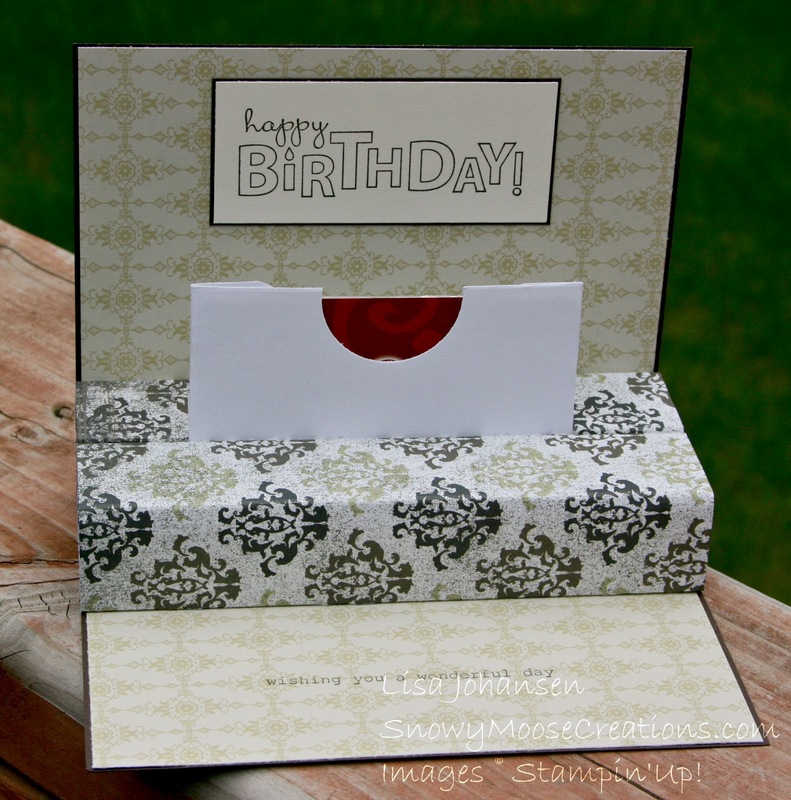 I haven't created this fold yet - but you've created a great inspiration! Love it! Great card! Do you have the instructions for it? Do you have instructions for it? Awesome! Love it!